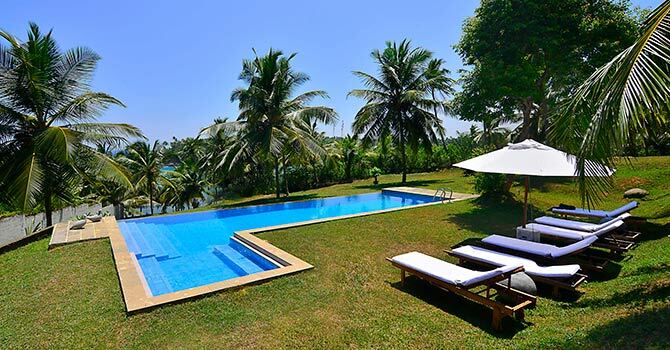 Villa Blue Heights, a sprawling oasis of a villa located in beachside Nilwella, near Tangalle and Dikwella. 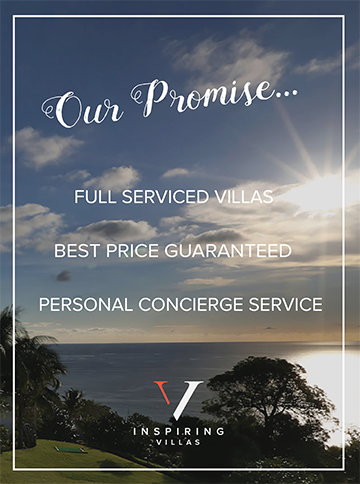 The villa can sleep up to eight people in its four bedrooms, and is fully staffed with a chef, house-keeper and gardener. 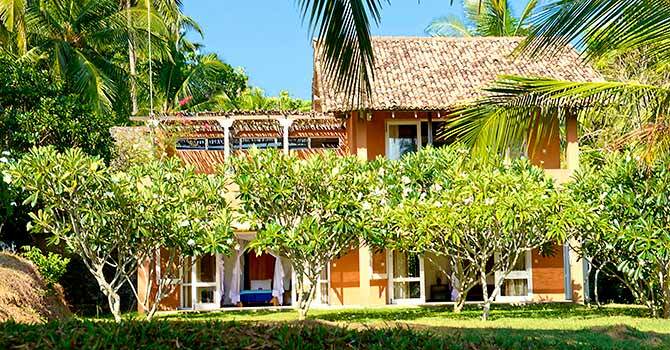 The beautiful house is spread amongst two acres of lush tropical gardens, which is perfect for a relaxing getaway. Inside, there is a living room that features a comfortable sofa, television and selection of books and games. There’s also a breezy dining area that overlooks the grounds, along with a modern kitchen. Step outside from the living area and find yourself amongst the beautiful garden. As well as the tropical plants, there is also an 8m pool flanked by sun loungers. 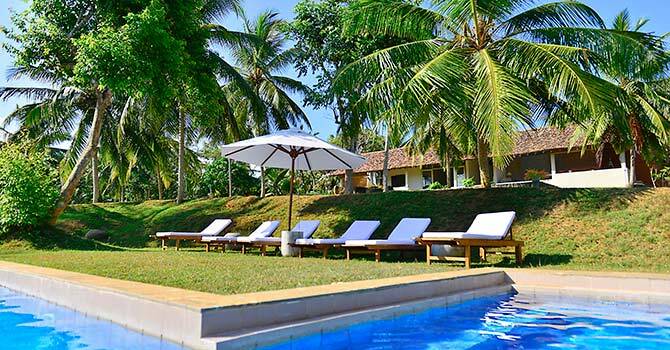 Blue Heights Villa is located in the beautiful fishing village of Nilwella, which is very peaceful. 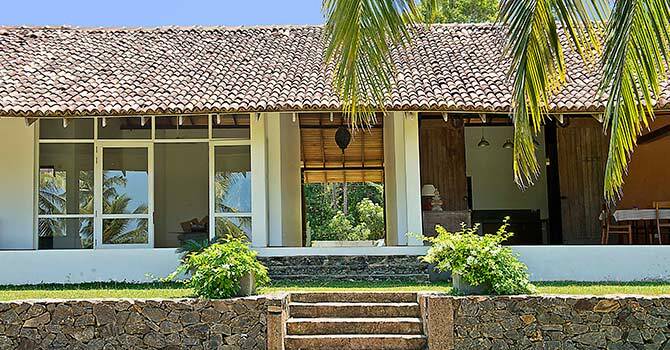 It is just a fifteen metre stroll to a gorgeous beach, and there is also a restaurant nearby. 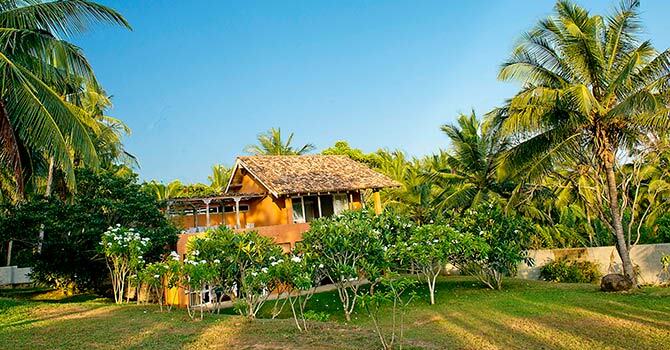 The popular towns of Tangalle and Dikwela are only a short drive away. Each of the four bedrooms is modern, with a private ensuite. The master suite features a king bed, and is adjoined by a private terrace which can be accessed through the french windows. There are also two bedrooms with queen size beds, including one with direct access to the garden. The final room has two single beds so it is perfect for children. Amazing house and staff on one of Sri Lanka's best beaches We were two families with 6 children under 10 and absolutely LOVED our stay at Blue Heights. The house is really big and the photos do not do it justice.  It is literally 50m from Hiriketiya Beach with direct access from the bottom of the garden. Great pool, great views, huge garden, fantastic staff led by Kumara, chef extraordinaire.